One of the classic ways that insurance adjusters begin the process of defeating your claim is to label the wrongful conduct of their own insured driver as an accident. They will attempt to gain sympathy for their insured driver and make the collision sound like just a little mistake — an accident. While it is true that many minor collisions occur every day and cause no personal injuries to anyone, it is not accurate to say that all collisions are “accidents”. When a significant auto collision occurs, causing serious personal injuries, it is self-evident that the person who caused the collision violated the motor vehicle safety laws and is thus guilty of careless, negligent conduct. It is important to never refer to the conduct of the at-fault driver, who caused your serious injuries, as a mere mistake, or the auto collision as an accident. If the collision was truly an “accident,” then the law may not hold anyone responsible. The law requires that legal liability be established on the basis of fault, referred to as negligence. For many decades, law enforcement officers used the “Uniform Accident Report” form to annotate information about the auto collision. Notice the word “Accident” in the title of the form? Insurance companies and defense lawyers loved it! During trials, the defense lawyer, the police officer, and even the judge referred to the collision as an accident. So, what’s a jury to think about your claim if it was caused by an accident? Well, I can tell you from experience — not much. 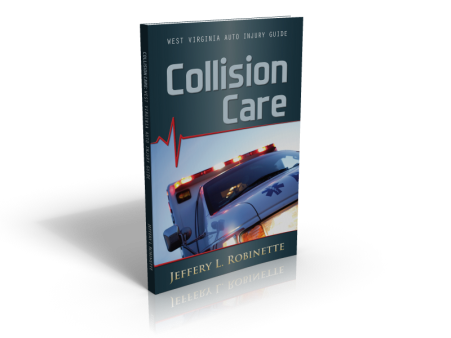 Recently, however, the use of a revised auto collision report form was mandated in West Virginia. The change was primarily brought about because a new form had to be created to be integrated with computer software. Irrespective of the reasons to get a new form in the system, every state, county and city police force must use the revised form: “State of West Virginia Uniform Traffic Crash Report.” Did you notice the word “Crash” in the title of the report? You can bet the insurance adjuster and defense lawyer noticed it. So now, even police officers must recognize that they are investigating car “crashes,” not mere “accidents.” But, old ways are hard to break, and it will take constant reminders to adjusters and even judges to refrain from referring to the police report as an “accident” report. If you or your loved one has been injured due to someone’s careless, negligent conduct it is important to act quickly to protect your claim. Mr. Robinette has handled hundreds of cases involving serious injury and wrongful death and can provide the insight you need right now.